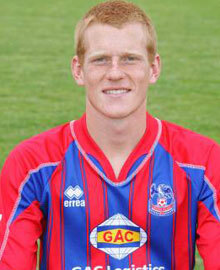 05 | August | 2008 | Through the seasons before us..
Forest end interest in Watson..
With QPR about to announce new signings, it didn’t bode well for our attempts to sign Crystal Palace’s Ben Watson. Forest have now confirmed that their spending preseason is over, they were prepared to shell out the £2m asking price for the midfielder, but were not prepared to break their wage structure to land his services. Of course, in many ways that’s disappointing because new signings are exciting, but it’s also good, because such an action would inevitably lead to dressing room unrest. It’s welcoming to know not to expect anything major to happen this side of the Reading game now (not that that will prevent soulful glances at the news feeds just incase it’s a bluff!). Smoulds has tickled our fancy by talking of a quest for Premier League loan signings, with a midfielder being the primary target, with the potential of bringing in a striker too (which makes eminent sense to me, given that aside from Earnie, all our first choice strikers are injured!). And so now we can wholly focus on the season kicking off, and I suppose we can keep an eye out to see if Reading lose any of their key players between now and then. In many ways kicking off the season to the Royals is quite unlucky, given that they could well hold on to their players yet lose them before the deadline. It will also be a decent test for the lads, and with the right attitude and a positive performance there’s no reason why we can’t give them a challenge.